By default in SCCM,you do not have separate collections for Windows 7 or server 2008 OS as like you have in Windows XP and server 2003.You can create a query based collection using the following method/ query. Right click on collections and say new collection ,go to query based collection and paste the below syntax. 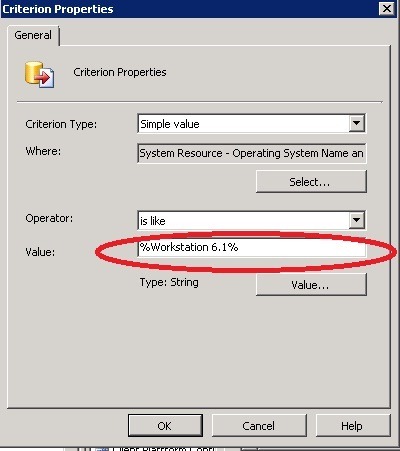 where OperatingSystemNameandVersion like "%Workstation 6.1%"
where OperatingSystemNameandVersion like "%Server 6.0%"
If you looking for server 2008 R2 ,the version will be server 6.1.Replace this in above criteria to get all computers listed. A picture shown below using the Criteria based if you want to do it.